Welcome to Makers' Monday, a celebration of knitting designers, artists & creatives. Today, in honor of St. Patrick's Day, we're celebrating traditional Irish food. Irish or not, do you prepare a big Irish spread for St. Patrick's Day? We usually fix corned beef & cabbage with potatoes but, not being the best cook in the world, the meal is kind of bland and no one is ever overly excited about it. This year, I thought I'd plan in advance and find some better recipes to try out. I came across this recipe for traditional corned beef and cabbage made in the slow cooker from The Cookie Rookie. I do love the simplicity of a made-in-the-crock-pot meal! And this recipe sounds much tastier than my normal way of preparing corned beef. It's definitely going on the menu this year. 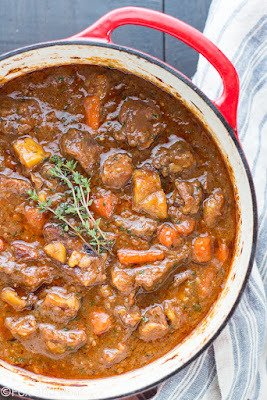 While searching for corned beef recipes, I stumbled across this Irish Guinness Beef Stew recipe from Fox and Briar. Doesn't it look yummy? 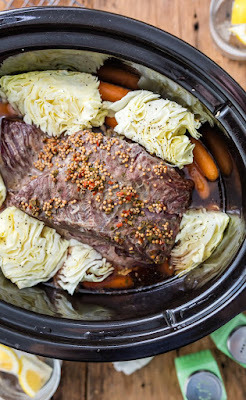 Irish stew and corned beef with cabbage may make for a heavy meal, but this recipe is going on the menu for those non corned beef & cabbage eaters. The recipe sounds so simple and there's bound to be lots of left overs. Having left overs is even better than the ease of cooking in a slow cooker! If we're having stew, we'll need bread! The few times I've made Irish soda bread, I haven't been very successful. I usually end up making cement chunks instead of bread. 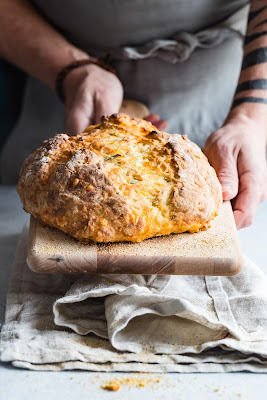 But this receipe for Rosemary Cheddar Irish Soda bread from Foodness Gracious looks like it might work. And to make it less risky, I might ask my daughter to bake it since she's a much better bread baker than I am. 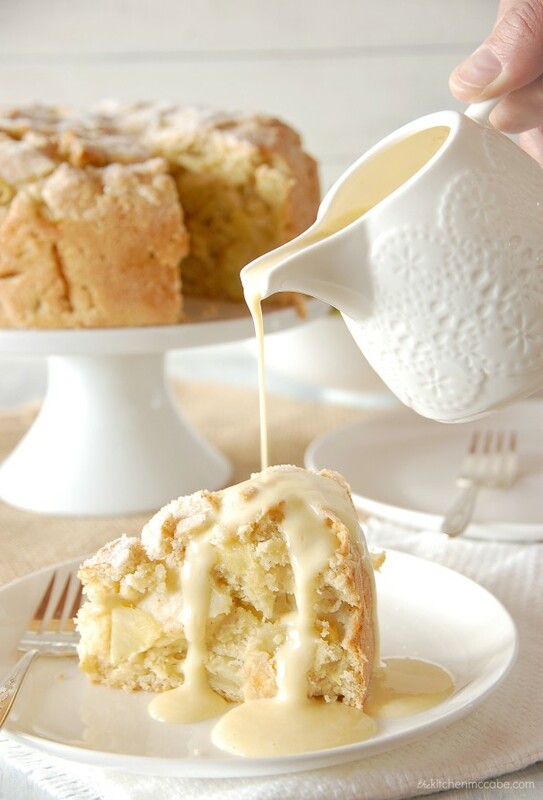 And for desert, because there has to be a desert... Irish Apple Cake with Custard Sauce. If this ends up tasting half as good as the picture looks, I will be indebted to The Kitchen McCabe. I absolutely LOVE custard sauce. So that's our St. Patty's Day meal plans. What are yours? Can anyone recommend a gym? I think I'm going to need one. yum! I don't know what I'm eating for St Patty's day yet. However you've given me ideas. I just walk a lot and I do yoga at home when I'm feeling good. I use the yoga studio app on itunes. it has beginner basic stuff. Mo's Irish Pub is my recipe!!! LOL. Plan on doing the fish and chips, not very daring though.